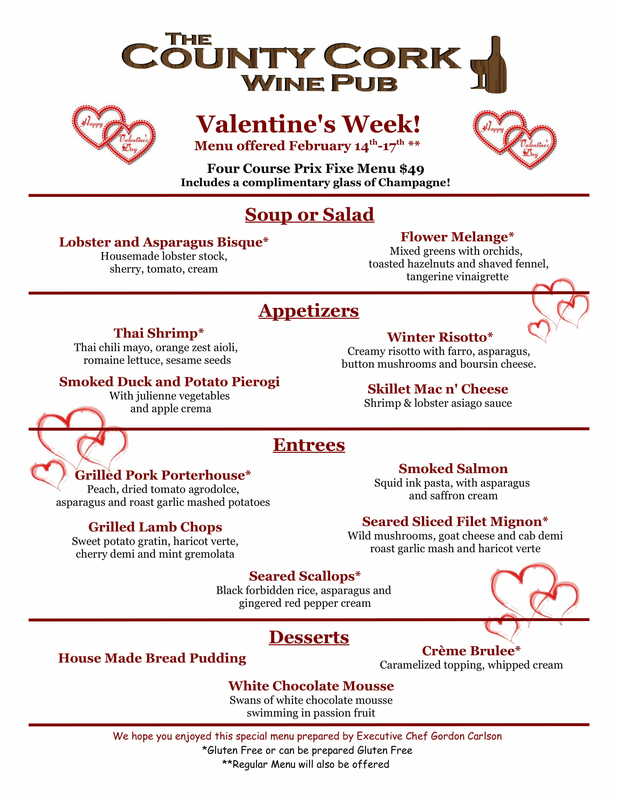 Bring in your Valentine for memorable celebration! Enjoy a meal designed for two (or one of your favorite items from our regular menu) and don’t forget to ask our knowledgeable servers for wine recommendations to complement your experience. If you want to know the best part, though, this offer extends throughout the entire weekend! So, schedule your date anytime between 2/14 and 2/17.